Self-Service is smart and pays off big! With HRSoftware.me you have the option of enabling Self-Service for your employees which gives them access to your custom installation of HRSoftware.me. You’re in complete control of what the Self-Service employees are able to see and interact with, but the advantages are numerous. Up to Date Information – Having employees update their own personal information gives you the most accurate and complete information while saving your HR Department time. HRSoftware.me monitors changes allowing your HR Department to approve or revise most edits. It even compiles an exportable list of all changes made by employees that have to do with payroll making your payroll updates easy. Reduce Questions & Calls to HR – Having a cloud based HR Software system with Self-Service allows your employees to login to retrieve their own answers instead of calling or visiting your HR Department. 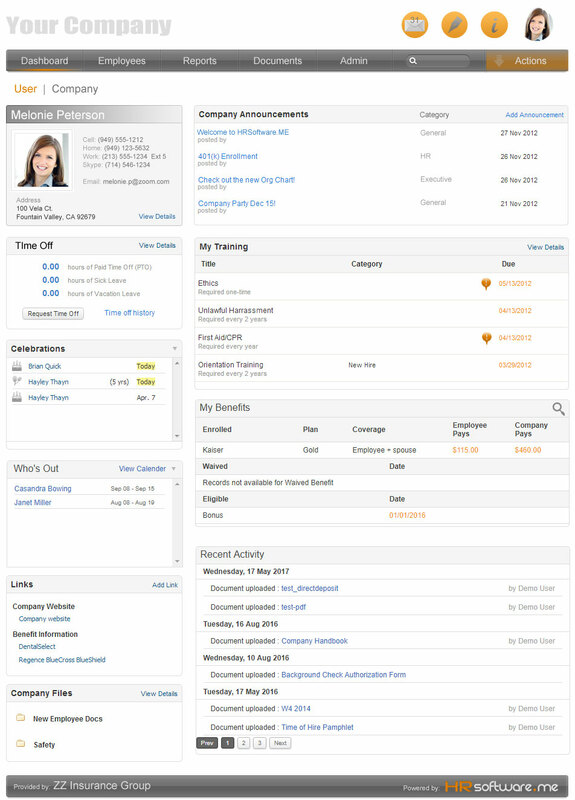 Whether it’s Time Off Requests, Time Off Balances, Benefits questions, Links to Payroll and Benefits systems details, Access to Company or Employment Documents, Training Requirement Dates or Job and Pay Histories, HRSoftware.me has you handled. Improved Company Culture – Having current news and announcements about your company on the user dashboard makes employees feel like they are a part of a community within your company. And investing and utilizing the latest technological solutions says a lot about who you are as a company and employees value that. Time Off can be a vortex of wasted time and energy for your HR Department. Employee time off requests, calls, questions about discrepancies, researching overlaps on requests, getting approvals from department heads, handling approvals for employees etc. make most HR representatives cringe when the word is said. Having a single cloud-based system that manages all these features makes perfect sense. Many companies rely on their payroll systems for time off accounting, but payroll companies may have limited options for time off policy details forcing you to cut corners that don’t make sense for your company’s specific needs. Additionally, programming algorithms that control the formulas for time off policy accrual may be different between payroll companies. So what happens if you want to change payroll companies? HRSoftware.me allows you to set up the exact time-off policies that make sense for your company instead of your payroll company’s program requirements. And if you need to switch payroll companies, it’s seamless with no problems for you, your employees or anyone else except the old payroll company. 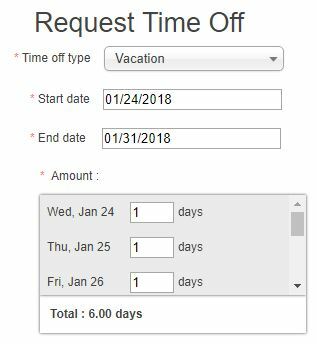 All of your employee’s time off history remains in tact on HRSoftware.me, you don’t have to change your policies and your employees will continue to utilize the same HRSoftware.me interface as they’ve become accustom to saving on training for the whole company. How to make your HR Software.me and E-Signature software FREE! Why you should keep Payroll, Benefits and HR Software Separate. The Executive Dashboard has really made a difference for me. There’s no more wondering about our company make up and benefits costs. HR Software has definitely improved our brand. 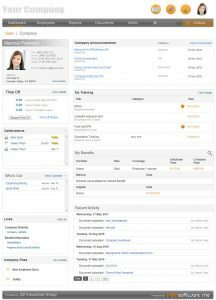 It’s simple to bring on new hires and the interface says a lot about who our company is. We knew we needed an HRIS system but what we didn’t expect was how HRSoftware.me fueled our company culture. There were allot of HR Software Systems but none as inexpensive and simple to use as HRSoftware.me. Our employees have loved having access and having them do updates has saved us time and made the information more accruate. I can’t believe we waited this long to switch from spread sheets. I thought it would be difficult, but the intuitive interface made the switch a breeze!